Greg and I decided to do one last climb before we left Switzerland. 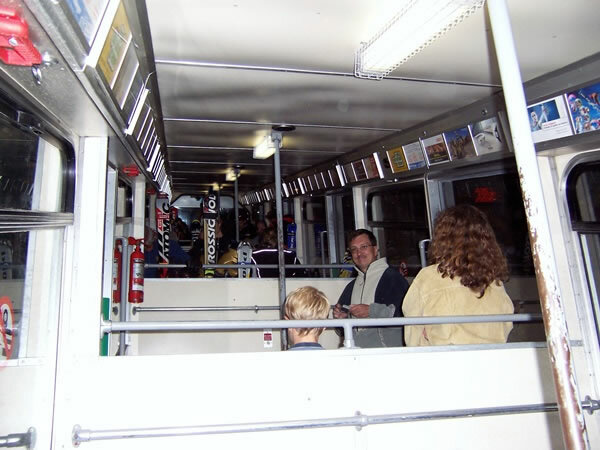 We got up at 5:00 am on Thursday, 19 August 2004, and got the first aerial cable car from Saas-Fee to Felskinn. We then caught this underground (or, rather, under-ice) train to Allalin, which is 3,500 metres / 11,483 feet above sea-level.